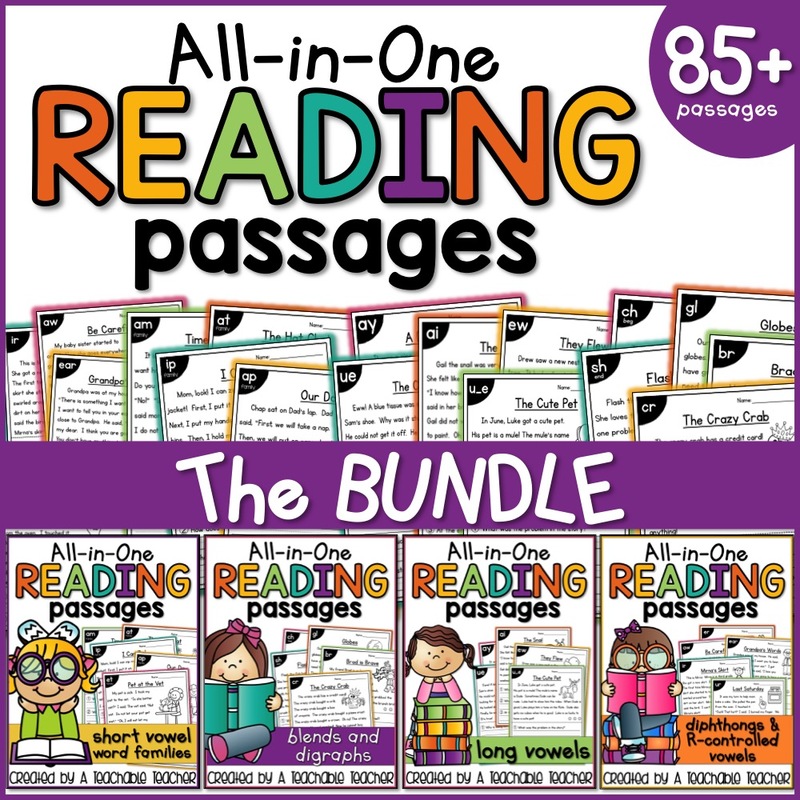 Free Phonics Reading Passages from my second All-in-One Reading Passages Bundle! Have you heard? 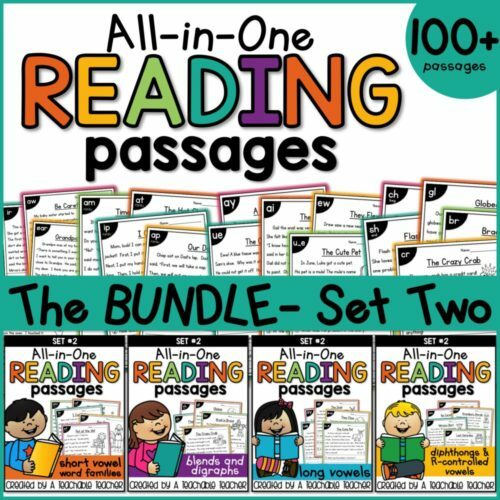 After so much positive feedback about my original All-in-One Reading Passages Bundle, I’ve finally decided to make a second set! 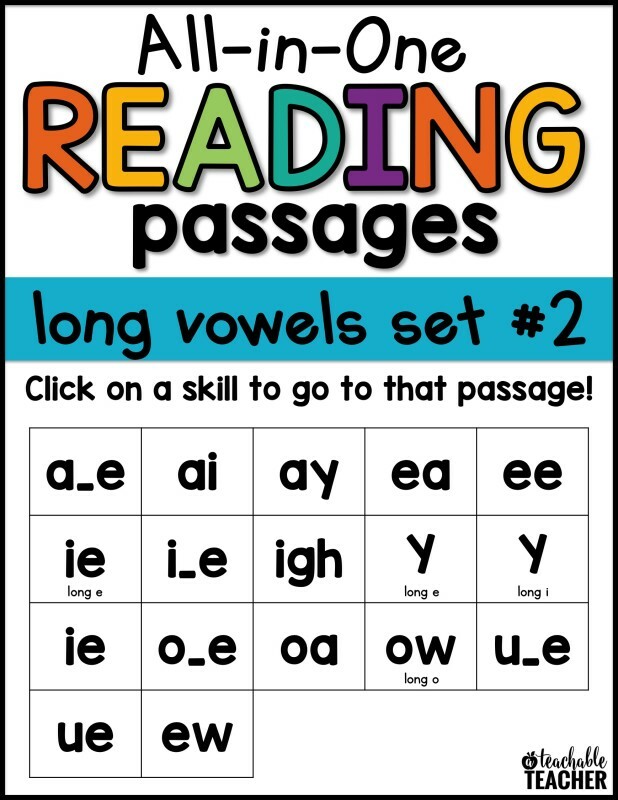 I started with the long vowel reading passages. It *just so* happened that I finished it on the same day that my new binding machine came in! Coincidence? I think not! (Don’t tell my husband). I have the masters of the original set in page protectors inside a binder, but I am going to try binding my masters on this set and see how I like it. So far, I love having my master copies bound and I’ve threatened to bind any loose papers lying around the house. 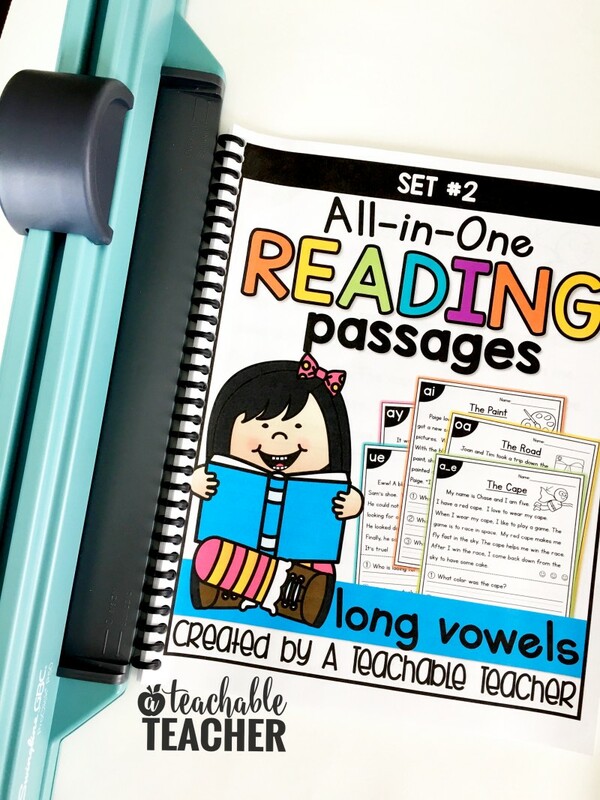 Speaking of binding, I bound all of the long vowel reading passages for some of my reading intervention students! I love that this will keep all the stories together so they can take it home and reread it there. Don’t have a binding machine? Don’t worry, you can always use a spiral notebook or a composition notebook. Just print the pages at 80% scale and glue them in! I’ve also added a clickable table of contents. It won’t work from this blog post, but when you click this page within the PDF, it takes you straight to the reading passage you need. I know! So cool!! 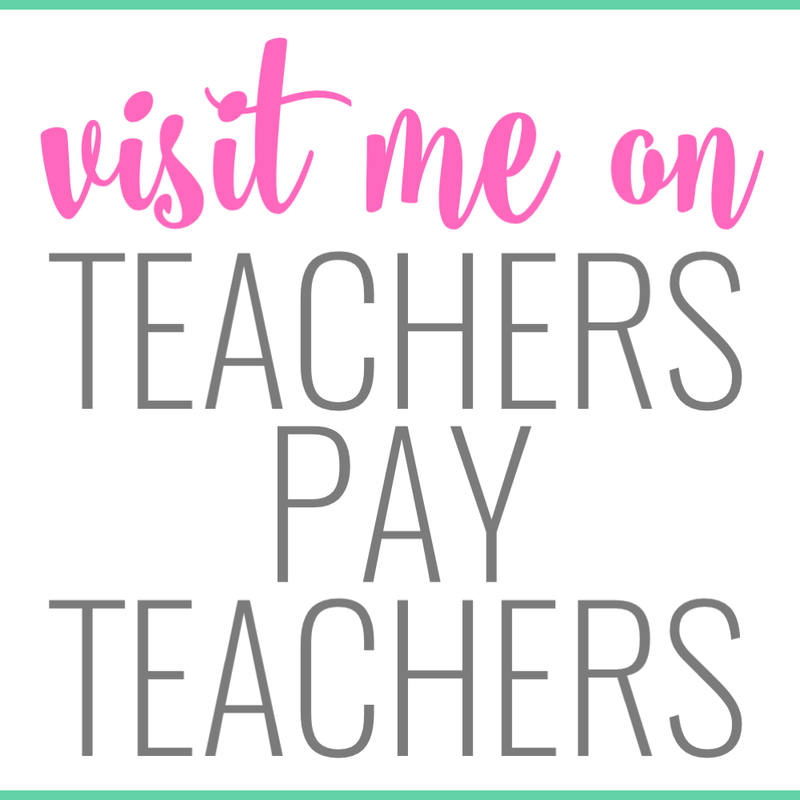 Since I’ll be giving you some reading passages for free at the bottom of this post, I wanted to take the time to show you how I use these reading passages in my own classroom! 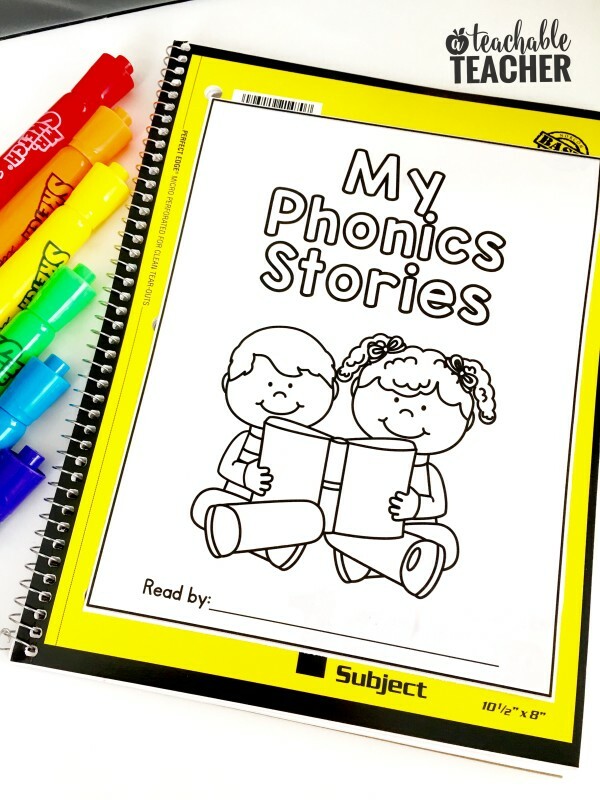 First, I teach the phonics skill. After we have had some guided practice, I introduce the reading passage. 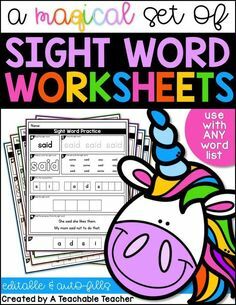 The first thing we do is find and highlight all the target skill words. Sometimes we use a highlighter and sometimes we use crayons. Next, we make a list of all the words we found. 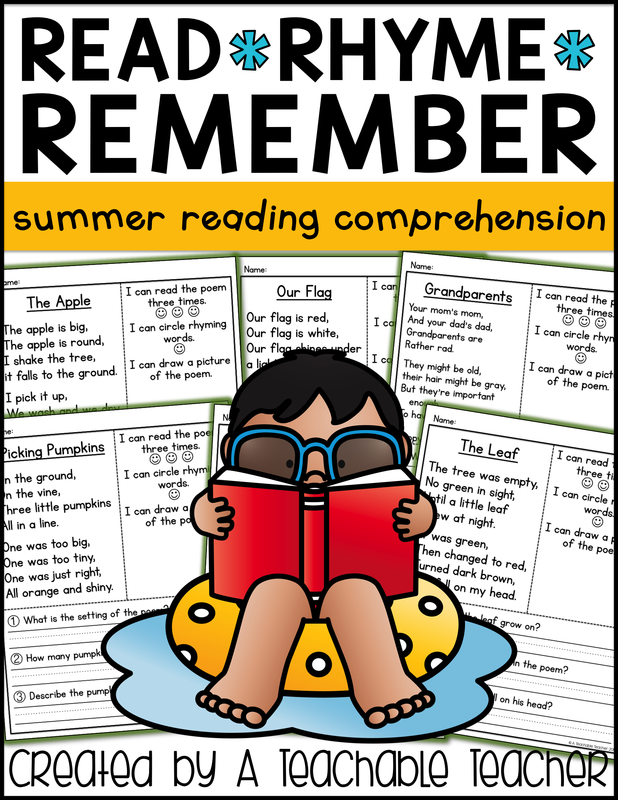 We can practice reading them in isolation to ensure we will be able to read them when we see them in context. Sometimes we write the words on white boards, sometimes we write them on notecards, and sometimes we write them on lined paper. 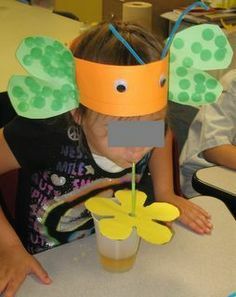 In this picture below, I used a page protector with colored paper inside it and a dry erase marker. Students keep these in their desks so they are always handy. 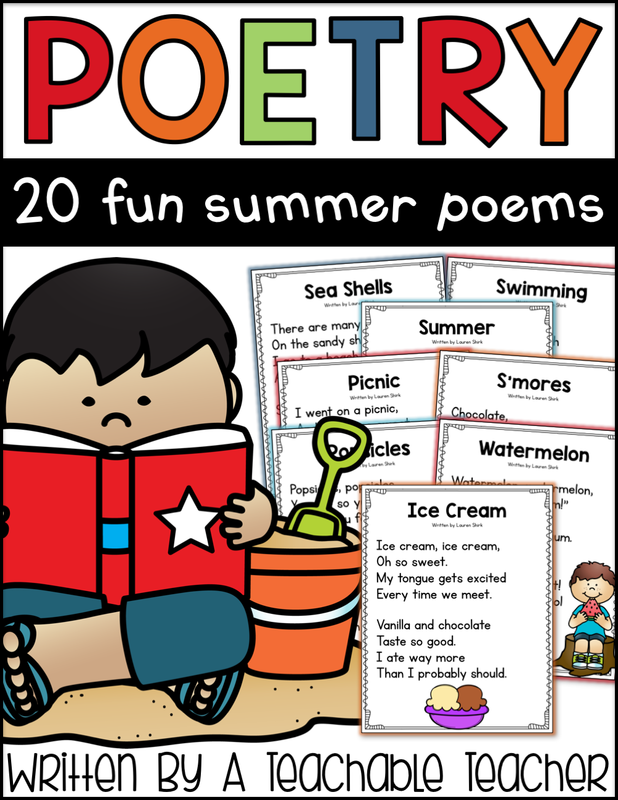 After writing the list, we read them to ourselves, with a partner, and chorally. After that, we read the story three times. 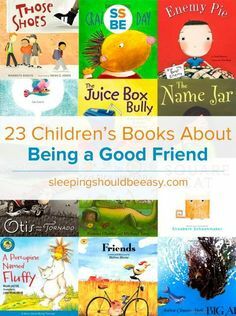 I make sure that we are reading it a different way each time so it doesn’t get boring! 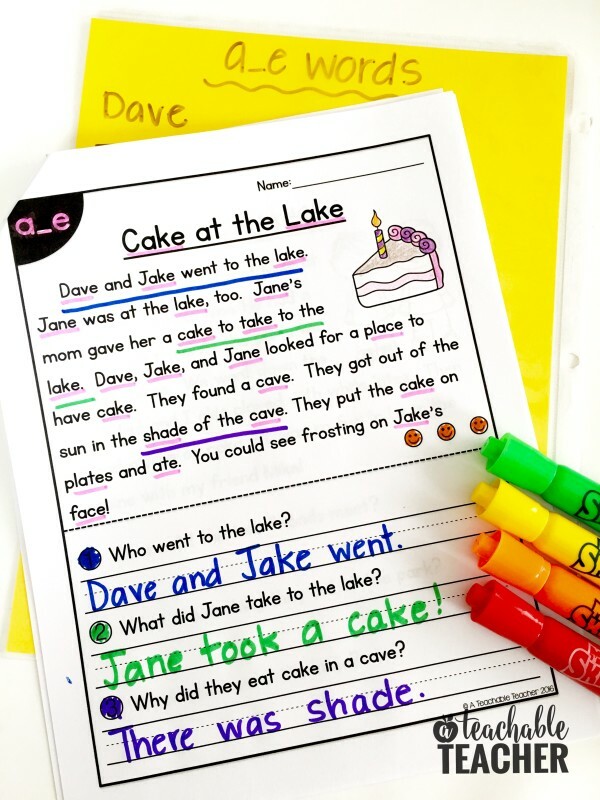 We usually start out reading it together, then with a partner, then with a different partner. Sometimes we use silly voices, sometimes we whisper. Whatever makes it fun. 😉 Students color a smiley face each time they read the story so we can track how many times we have read. Now it’s time to show off our comprehension skills! 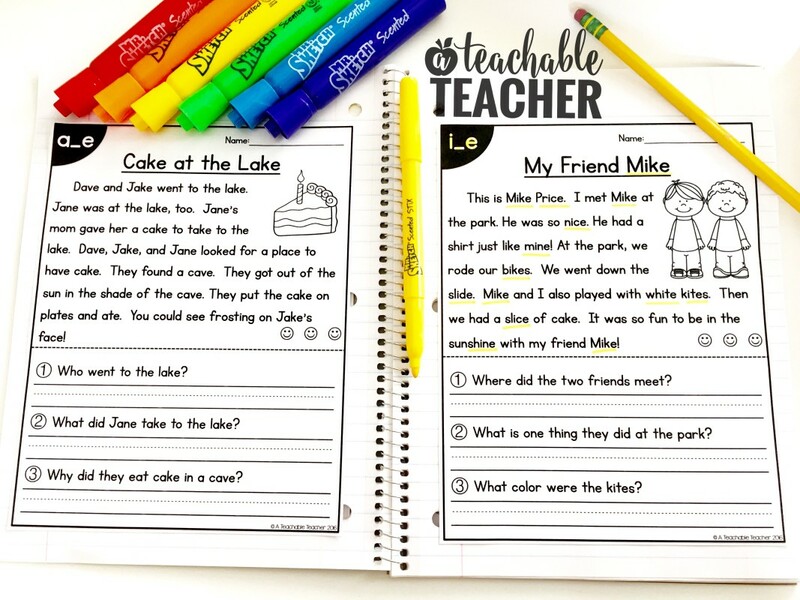 Because I encourage my students to answer the questions based on evidence from the text, we color the question number any color, and then highlight or underline the answer in the text with the same color. 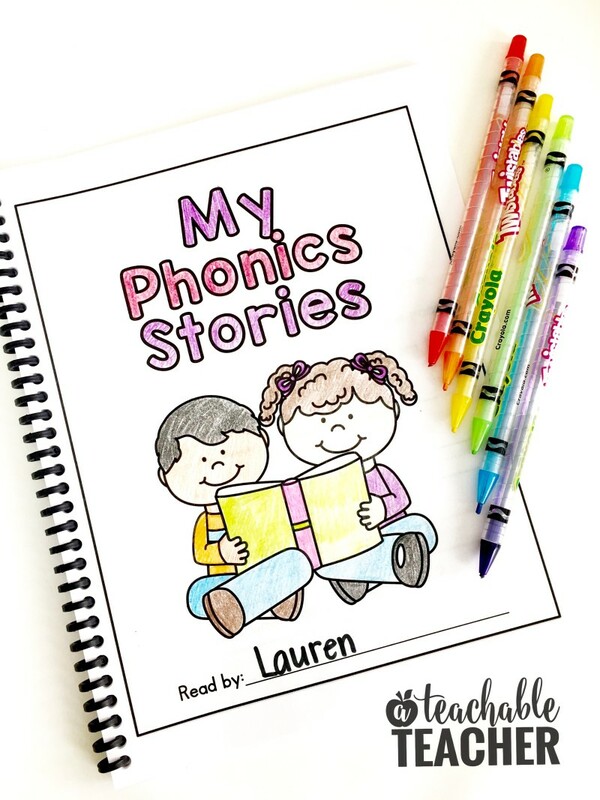 Just like that – students have practiced phonics, reading, fluency, and comprehension! 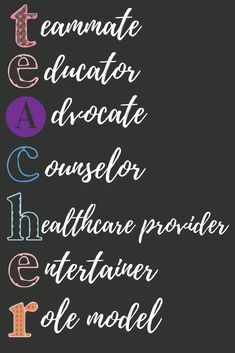 Hence the name…All-in-One 😉 . 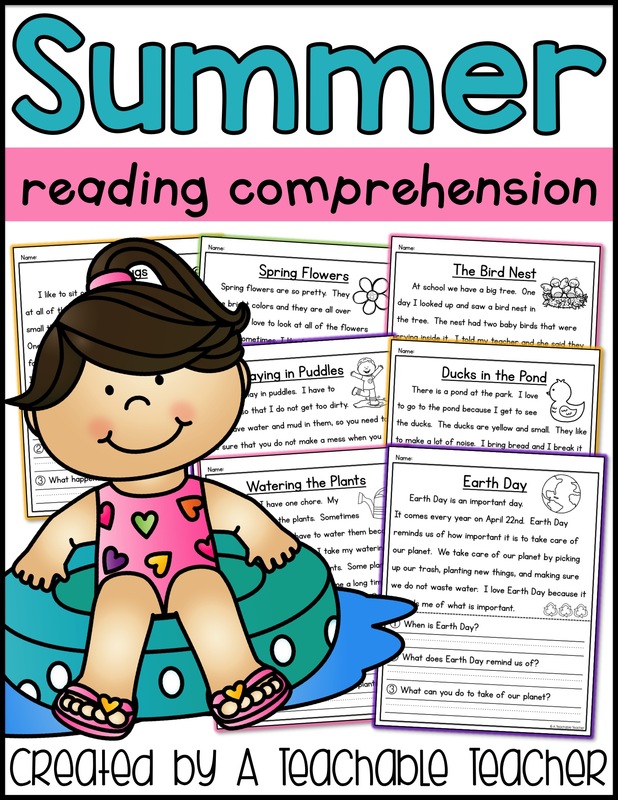 Because I teach reading intervention, I encourage my students to take home their finished product and read it to their parents. 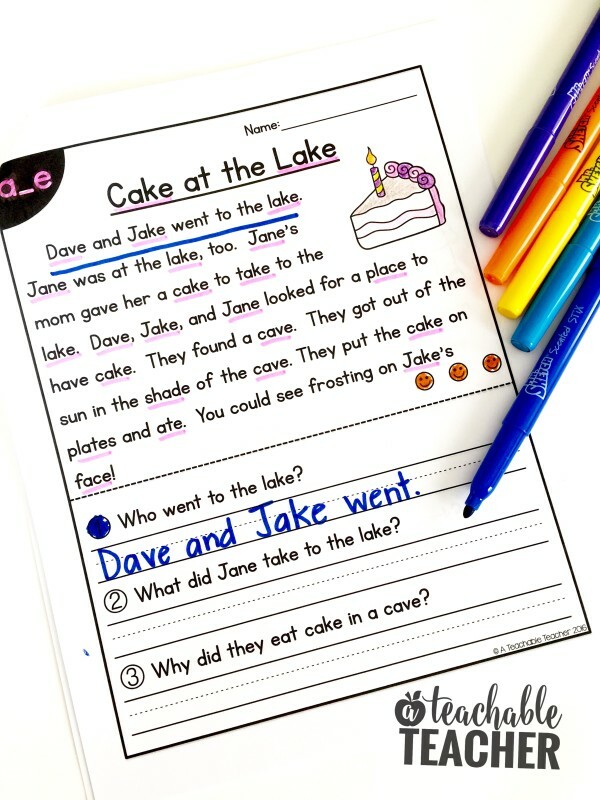 I even tell them to ask their parents the comprehension questions to see if they can remember the story. (They love that.) 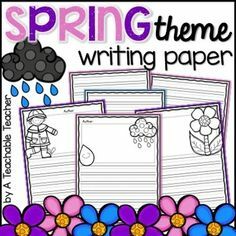 When I taught first grade, I sometimes sent these home as homework. They are great for review. 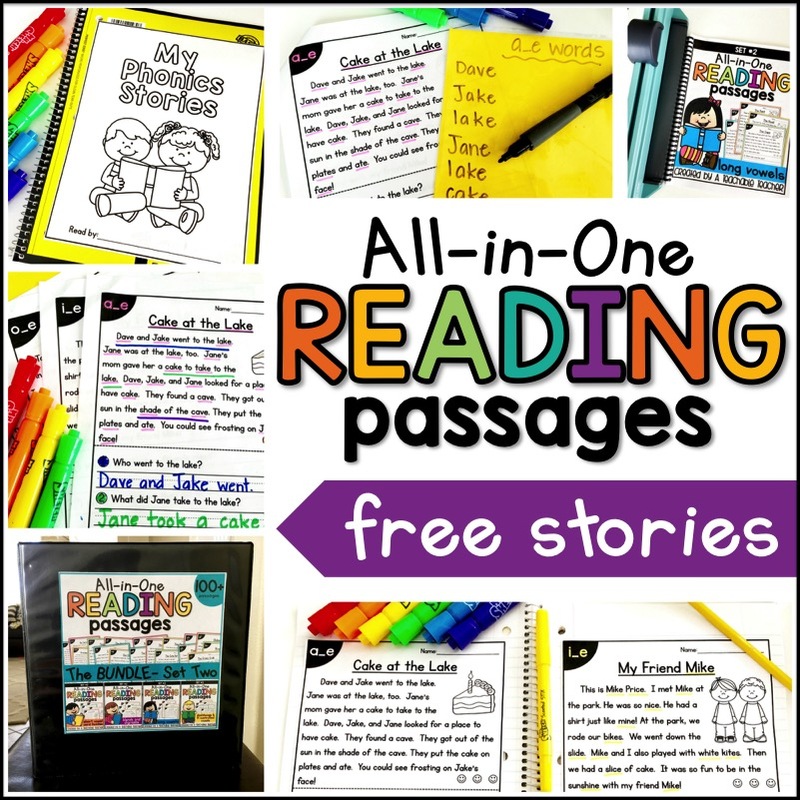 There are so many ways to use this resource, and that’s why I am so excited to have a second set of stories available! You can find them bundled and 20% off by clicking here. 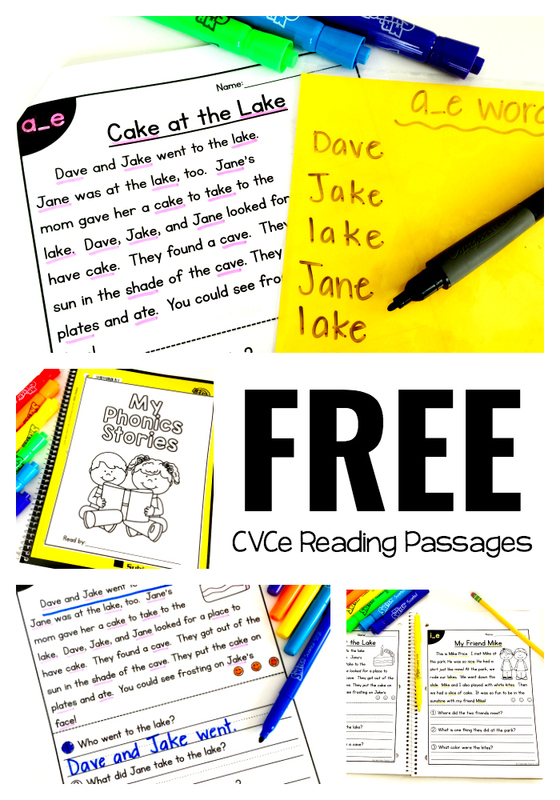 If you are interested in both sets of reading passages (215+ phonics based stories), you are in luck! 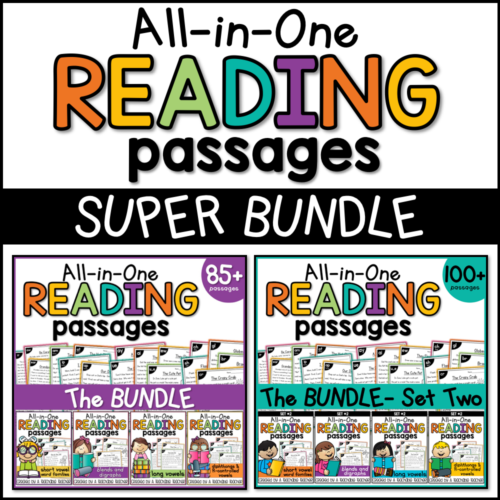 I’ve also created a SUPER BUNDLE! You can find it by clicking here. I’ve been getting a lot of emails and Q&A’s about the two bundles, so I wanted to answer them all in one place just in case anyone else has these questions as well! Question: Are the stories the same as in the first All-in-One Reading Passages Bundle? Answer: No, these are brand new stories! The formatting, style and the phonics skills are the same. Question: Do I have to own the first set to be able to use the second set? Answer: No. 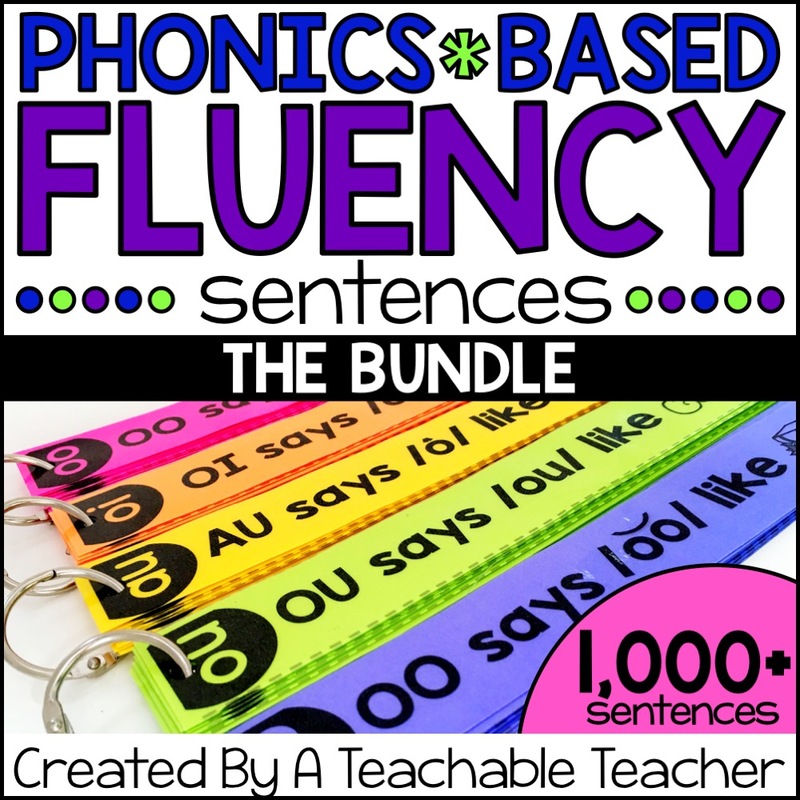 You can use either bundle on it’s own, but you’ll probably find two sets of stories for every phonics skill extremely useful! If you have any other questions, please don’t hesitate to ask! I am here to help. Looking forward to more great things from you in the future. 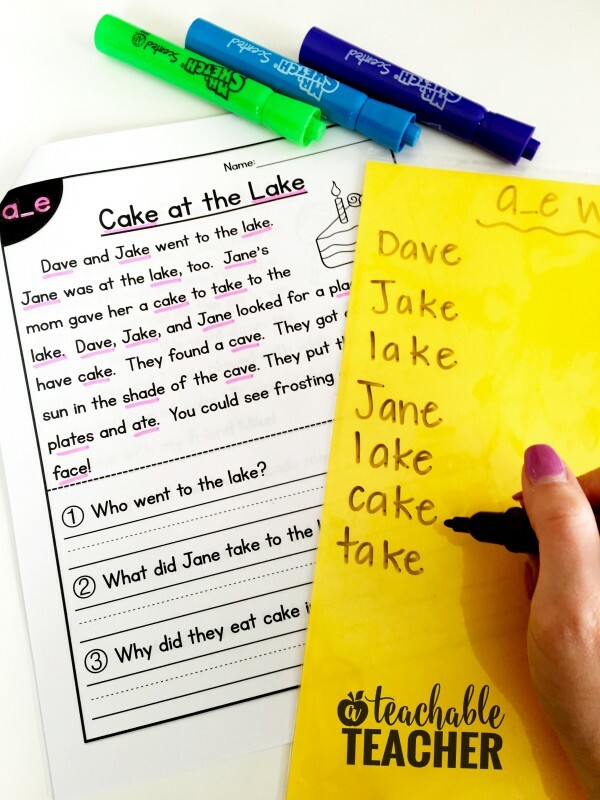 Do you laminate the pages before you bind them? Out of curiosity which binder machine did you get? I’m thinking of getting one this summer. 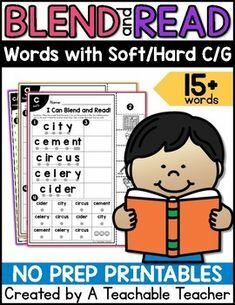 These will work perfectly as a reading rotation after I have introduced these sounds in spelling. Thank you for making these a free resource. 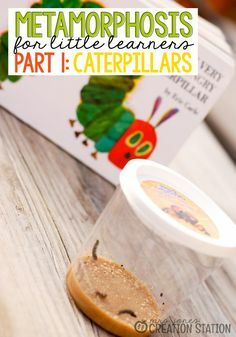 I will share how these went in my blog, once I have taught them. 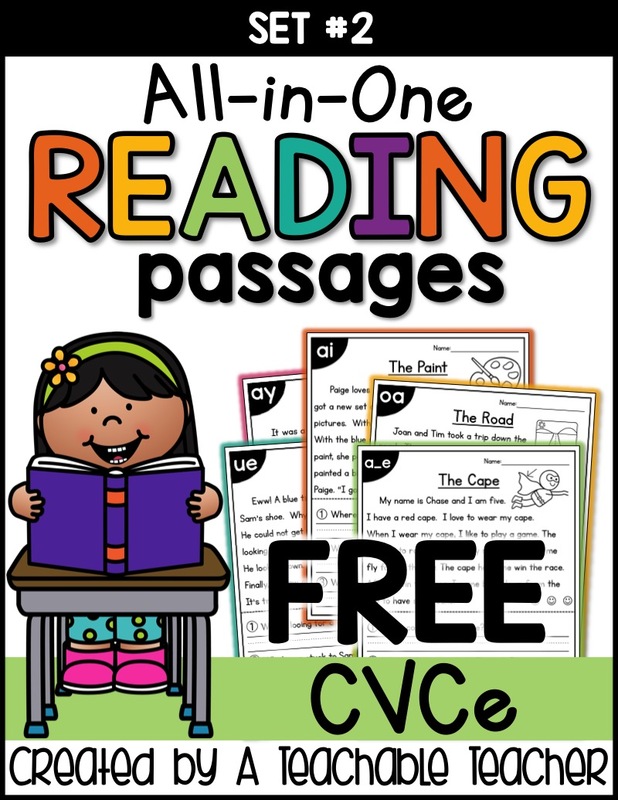 Also: What clip art is used for the ‘reading’ in the logo of ‘All in one Reading passages’? Thanks for your kind words! I hope you love them!